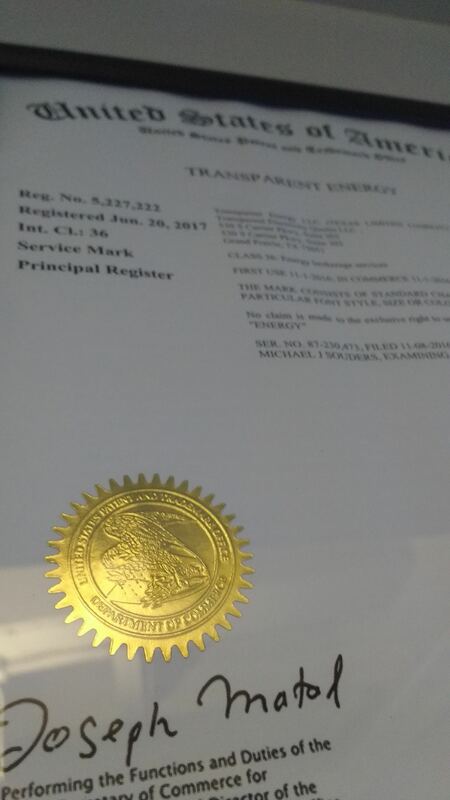 We officially are Transparent Energy LLC! Why the new name? Well the name Transparent Energy was unavailable in Texas and at the USPTO until last year! Now it’s ours! We feel 3 less syllables and the flexibility the new name brings is invaluable. Besides, several of our clients have mistakenly called us Transparent Energy anyway. We still can also do business as Transparent Electricity Quotes and our core competency remains the same, but we hope you enjoy our new website and the new ease of referring to us as Transparent Energy!